Did you know that upgrading your airfield ground lighting from halogen lights to LED lamps can save you time, reduce running costs, minimise airport delays and improve safety on your runway? This week, we're looking at the benefits of installing LED AGLs can offer to your airport and its passengers. The air travel industry is booming. And experts predict that our infinity with aviation will continue to grow, steadily, until 2050. Whether it’s putting new circular runway concepts to the test or upgrading your airfield ground lighting, our airports are under pressure to find new ways to cope with increasing demand. Why upgrade to LED AGLs? When you think about ways to reduce airfield downtime and prepare your airport for more passengers, replacing the lighting system might not be your first port of call. But upgrading your airfield ground lighting (AGL) from old halogen lights to LED lamps can increase the lifespan of your AGLs from 1 year… to 7 years! Helping to save you time and money whilst reducing airport delays and improving safety on your runway. The colour of traditional halogen lights can appear differently, depending on the intensity setting used and the angle of the fitting. Basically, this means that colours can end up being tricky to decipher and cause problems for pilots. In contrast (no pun intended), LED lamps are good at maintaining their colour saturation regardless of intensity or angle, making it easier to distinguish between the green, red, white, blue and amber lights used on runways and taxiways. LED lamps also switch on instantly, unlike traditional halogen bulbs which require warm-up time. So, with LEDs, there’s no lag time in between switch on and the lights operating effectively. LEDs have a lower failure rate, too, which means the chances of a failed ground light comprising the safety of your runway are slim to none. Yes, the setup cost of installing LED AGLs is higher than traditional incandescent lighting. But the significant return on your initial investment can see your new system paying for itself in less than 3 years - even as quickly as 6 months in some cases. What makes LED AGLs so cost-effective? LED lamps last longer than halogen bulbs. And in a busy airport, this has a positive effect across the board. Because LEDs last longer, your airfield support vehicles will have less work to do! This means savings on maintenance vehicle running costs, fuel and labour. With less maintenance and a low chance of failure with LED lighting, the time your maintenance team need to spend on the runway will drop. This translates to fewer delays on your runway, happier passengers and an increased capacity to match growing customer demand. The brilliant thing about LED lamps is their capacity to put out light without losing excessive energy to heat loss. This means that LEDs can consume less energy because they waste less energy creating heat. Using LEDs is a practical and cost-effective way to make your airport more efficient and reduce your carbon emissions. Not only are the lamps themselves more efficient but thanks to the lower failure rate, there are fewer lamps to replace and as we said above, you’ve already cut fossil fuel consumption by keeping maintenance vehicles off your runway. Is it time to upgrade your airport’s halogen lights to LED? 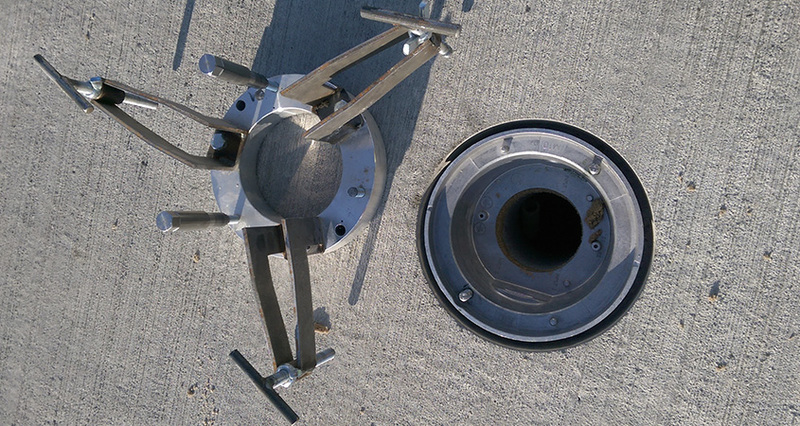 Our expert team install AGLs in both commercial and military runways using our unique, double drill core to create precise diamond-cut holes to house your airfield lights. We’re specially trained to deliver precision alignment and weatherproof sealing to meet CAA regulations, so you’ll be ready to take off in no time. As experienced airfield contractors in London, we work with some of the UK’s busiest international airports and we understand the need for efficient LED AGL installation. That’s why we’re available 24/7 and offer free estimates. Give us a call on 0800 163 382 or get in touch for your free quotation.